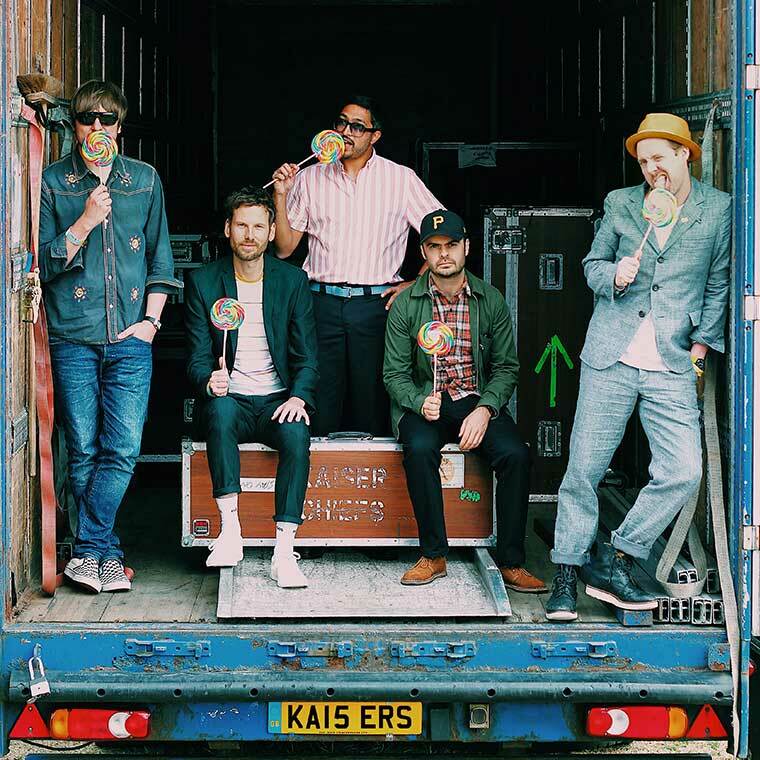 We are pleased to announce Kaiser Chiefs performing at the Pavilion on Wednesday 20 February. Formed in Leeds in 2000, Kaiser Chiefs are one of the leading bands of their generation. Fronted by the charismatic Ricky Wilson with Simon Rix on bass, Andrew ‘Whitey’ White on guitar, Nick ‘Peanut’ Baines on keyboards and drummer Vijay Mistry, the band have had a string of anthemic hits such as Oh My God, I Predict A Riot, Everyday I Love You Less and Less, Never Miss A Beat and Hole In My Soul. The band have released 6 original studio albums which includes their Mercury nominated debut, Employment which sold over 2 million copies, It’s number 1 follow up, Yours Truly, Angry Mob, which went twice-platinum in the UK alone and Education, Education, Education and War which entered the UK Album Charts at number 1. They have achieved, top ten singles including the infamous number 1 hit Ruby, 3 Brit Awards, an Ivor Novello award for Album of the Year, toured with U2, Foo Fighters and Green Day and sold 8 million albums.